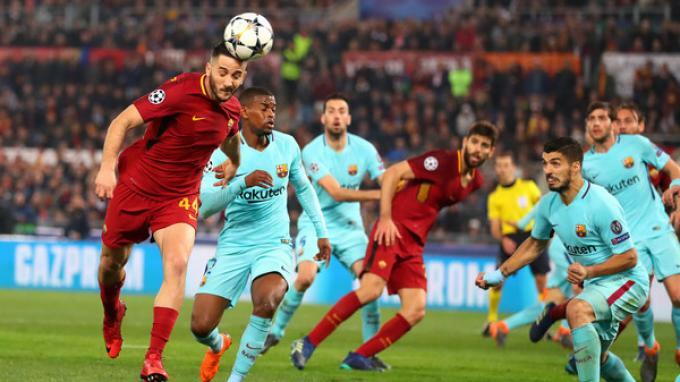 ROMA - AS Roma overturned predictions by picking up a glorious victory over Barcelona in the second leg of the Champions League quarter-finals. Losing 1-4 in the first leg, AS Roma must win with a score of at least 3-0 in the second leg, Wednesday (11/4/2018) early morning GMT, to qualify for the semi-finals. Exactly the score that I got Lupi. They won 3-0 so the aggregate score became 4-4, but AS Roma excelled in aggressiveness at home. Goals from Eusebio Di Francesco were booked by Edin Dzeko (6th minute), Daniele De Rossi (58'pen), and Kostas Manolas (82 '). AS Roma also carve history with for the first time qualify for the Champions League semifinals. Since the most elite European club competition changed the format to the Champions League in 1992-1993, AS Roma has never been able to reach the top 4. Their best achievement is the quarter-finals, which were obtained in 2006-2007 and 2007-2008. On both occasions, the Wolves Team move has always been stopped by English Premier League club Manchester United. AS Roma itself just 11 times appear in the Champions League with its debut done in the 2001-2002 season. I Giallorossi never reached the final, but when that competition is still with the Champions Cup. It happened in 1983-1984, in which AS Roma lost to Liverpool 2-4 on penalties after 2x45 minutes match plus extra time ended 1-1. 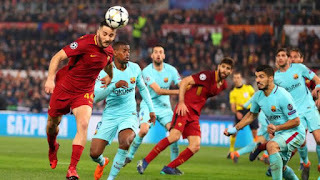 "I do not care about myself being recorded in history, the important thing for me is that AS Roma reached the Champions League semifinals after against the best team in the world, Barcelona," said Kostas Manolas, who scored a decisive 3-0 win with a header. 0 Response to "AS Roma vs Barcelona: Roma Won 3-0 in the Second Leg"